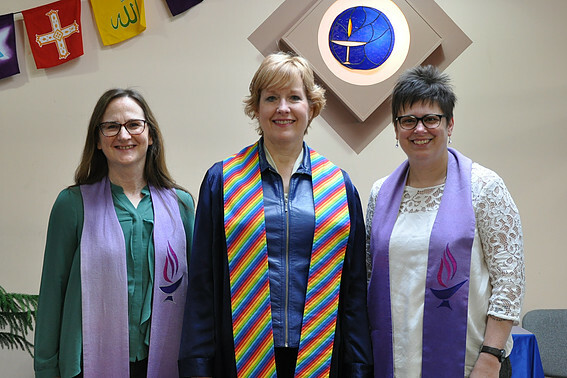 Wendy, Kim and Anne and Gordon, our Lay Chaplains, are flexible and resourceful officiants. From your first contact, you will find us easy to communicate with, professional and conscientious. We will offer you a great variety of suggestions and choice for the different parts of the ceremony and are happy to help you craft the service that you have always dreamed of. The ceremony you have in mind may be anything from elegant and traditional to lighthearted and casual. We will make sure that it suits your personal style, values, family traditions and spirituality. Please contact the chaplain of your choice directly at the phone number or e-mail address given above. In your first contact, please indicate the names of the couple, their contact information, date, time and location of the wedding, if known. I look forward to the privilege of creating, with you, a ceremony that honours the unique traditions, beliefs and values that you bring to your significant life transition. Recognizing the uniqueness of each person, and their experiences, I will work with you to create a memorable ceremony for you and those whom you invite to share it. In addition to my career in child and youth mental health, I am actively involved with the Kingston Unitarian Fellowship. After raising our children and watching them grow into young adults, my husband and I continue to enjoy our home in the country that we share with a variety of animals. We enjoy having many beautiful locations nearby for hiking and kayaking. I have been performing ceremonies for many years to mark important transitions in people’s lives. I am dedicated to making ceremonies personal and reflective of the uniqueness of the individuals and the situation. I grew up in the Niagara Region and spent over 15 years living and working in Muskoka before coming to the Kingston area. I have degrees in psychology and transpersonal studies, and have studied drama based psychotherapy extensively. I live amongst the trees and wildlife and enjoy connecting with nature, connecting with people, and spending time with my partner and two teenage children. Marking the changes in our lives with a ceremony allows us to recognize the importance of these unique moments which will not come again. I look forward to working with you to help you plan a personalized ceremony to mark an important rite of passage, whether it is a wedding, a memorial, a child dedication, a house blessing or another significant transition. I can perform your ceremony in English, French or both. I also speak a bit of Spanish, Portuguese, German and Dutch. I crafted my own wedding ceremony more than 30 years ago before setting off on an adventurous life as a military wife. After living in Europe, Australia, Africa and different parts of Canada with my husband and my two sons, I enjoy being settled, tending my extensive garden in the countryside north of Kingston, participating as an active member of the Kingston Unitarian Fellowship and singing and playing music. 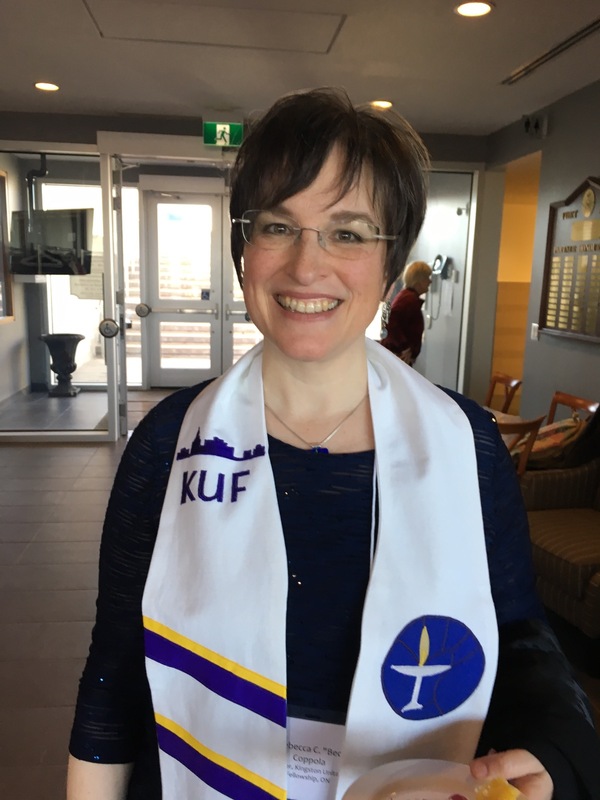 I have been a member of KUF for over twenty years and during that time I have held many positions in the congregation. Now I am enjoying the privilege of being a Lay Chaplain. 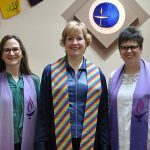 Each time I meet with a couple or family to plan a ceremony, I recognize the uniqueness of these individuals. I work with them to create a highlighted moment in their lives, reflecting who they are as individuals. After 30 years as a teacher, I now enjoy cutting firewood, growing a large garden, making things, hiking, and sharing moments with family and friends. Every ceremony at which I officiate brings me into the lives of many interesting and committed people; for that I am thankful. Please Note: Gordon is no longer performing weddings and is available to perform Memorials, Funerals and other ceremonies only.